Here’s Week 31, Meal 2: Shellfish and tomato soup with grilled baguette. First, remove the shells from the shrimp. I couldn’t find smaller shrimp, so I used bigger ones and cut them down a little. If yours need to be deveined, take the time to do so to prevent the final product from having any grit in it. This matters less for smaller shrimp. To start the stock, heat 1 t of olive oil in a small pot over medium-high heat. Add the shrimp shells and cook for 1-2 minutes until they turn pink. Add saffron, smoked paprika and water. 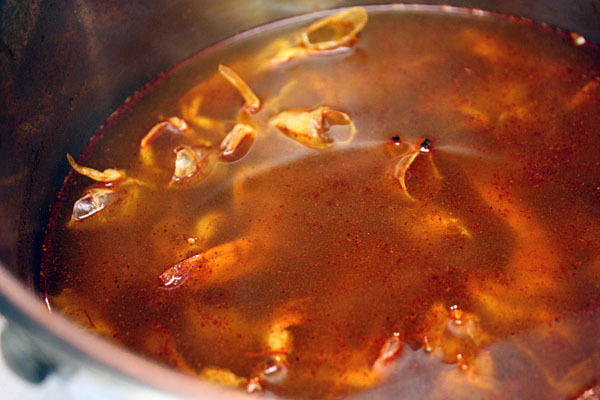 Bring to a boil and reduce to low, simmering for 30 minutes. In a larger pot, heat the remaining 3 t of olive oil (equivalent to 1 T) over medium-high heat. 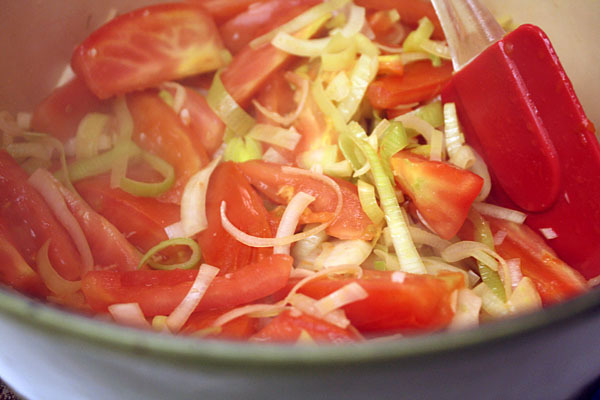 Add fennel, leek, garlic and tomato, and cook for 5-6 minutes until the fennel and tomato have softened. 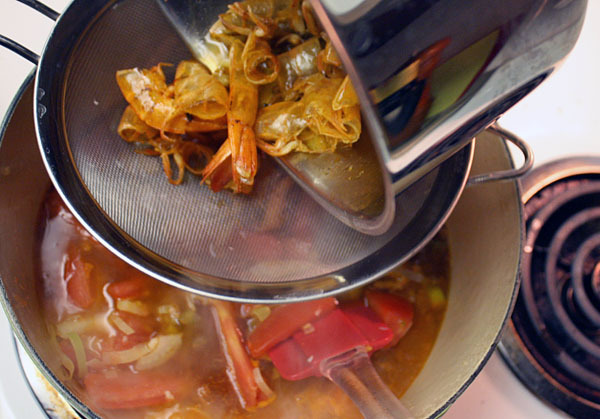 Using a strainer, pour the shrimp stock into the pot, bring to a boil and reduce heat to low again. 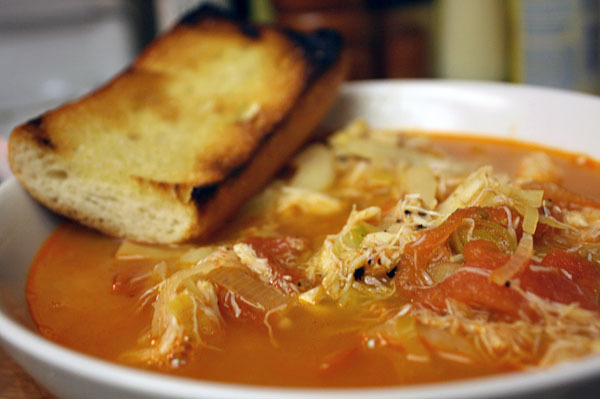 Simmer for 15 minutes, until the vegetables are soft. 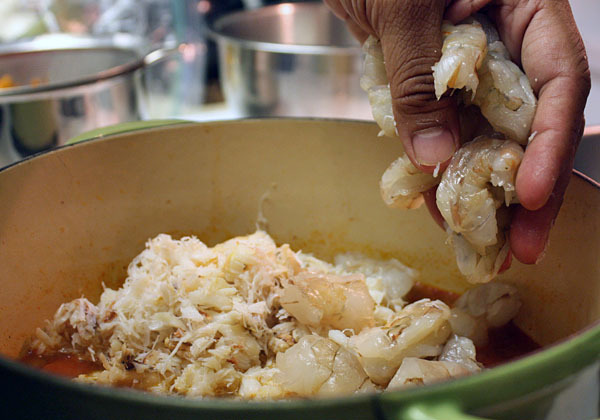 Add the shrimp and crab and cook for 3-4 minutes until the shrimp turn pink and are cooked through. Finish with salt, pepper and a squeeze of lemon. 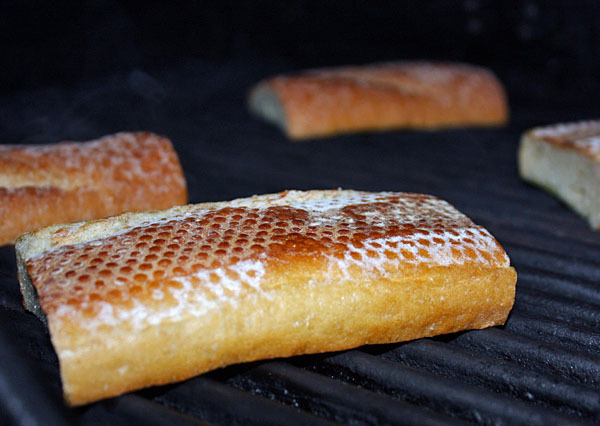 For the grilled bread–which is convenient to make while the vegetables are simmering–heat the grill to high, brush each piece of bread lightly with olive oil and cook face down until grill marks show and the bread is well toasted. Season with salt and pepper if you’d like.